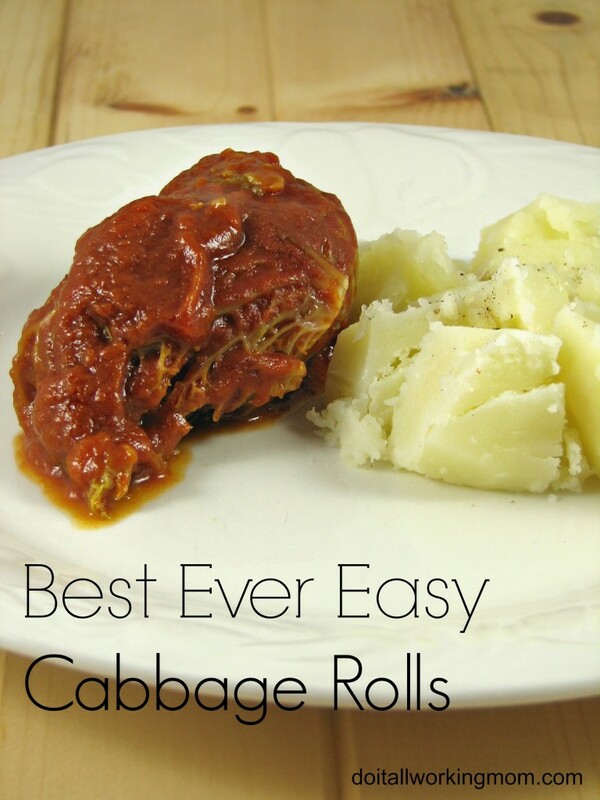 These Cabbage Rolls are so delicious and easy to make. They remind me of the ones my mom made when I was a kid, but they’re so much easier to make. 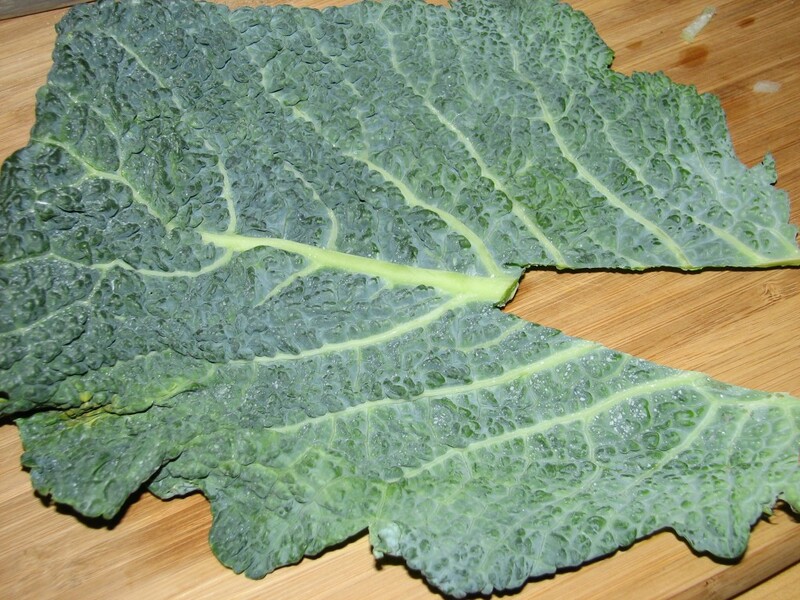 I use Savoy cabbage leaves, they’re a lot easier to work with. With my recipe, you don’t even need to blanch the cabbage; you just roll the meat mixture in raw cabbage leaves, and cook them in lots of liquid so the cabbage is tender and the taste is simply amazing. 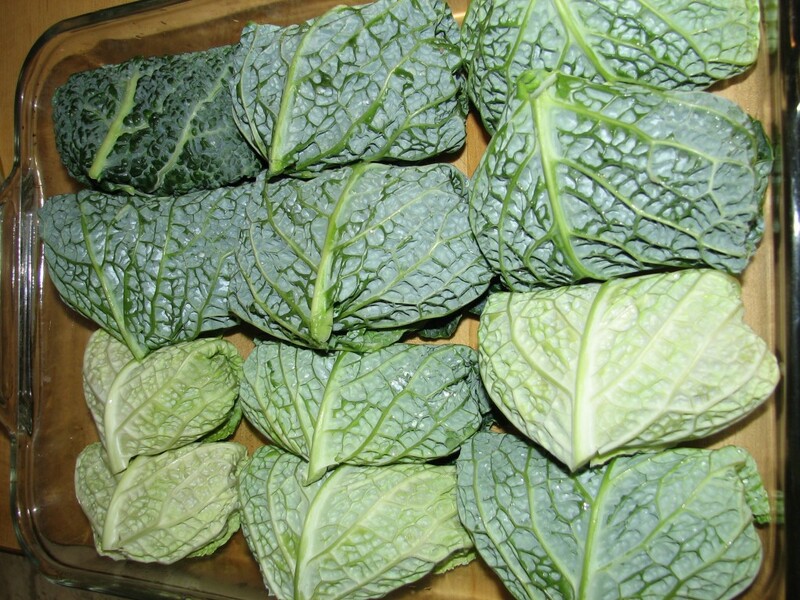 Wash the cabbage leaves and pare down the central stem at the base of each leaf. In a medium bowl mix together the ground beef, egg, rice, dry mustard, garlic, onion, salt, pepper and Worcestershire sauce (use your hands). Place about 3 tablespoons of the meat mixture in the middle of a cabbage leaf forming a cigar shape. Fold both sides of the leaf toward the middle and roll. Place the roll in a 13×9 oven safe dish. Repeat this step with the remaining cabbage leaves. Pour the tomato soup, tomato sauce and half of the tomato juice over the cabbage rolls. Making sure there is sauce under the rolls as well. Cover with aluminium paper and place the dish on a cookie sheet in case the liquid overflows. Cook in a preheated 350 degree oven for about 2 hours, or until cabbage is tender. Add the remaining tomato juice half way through the cooking. 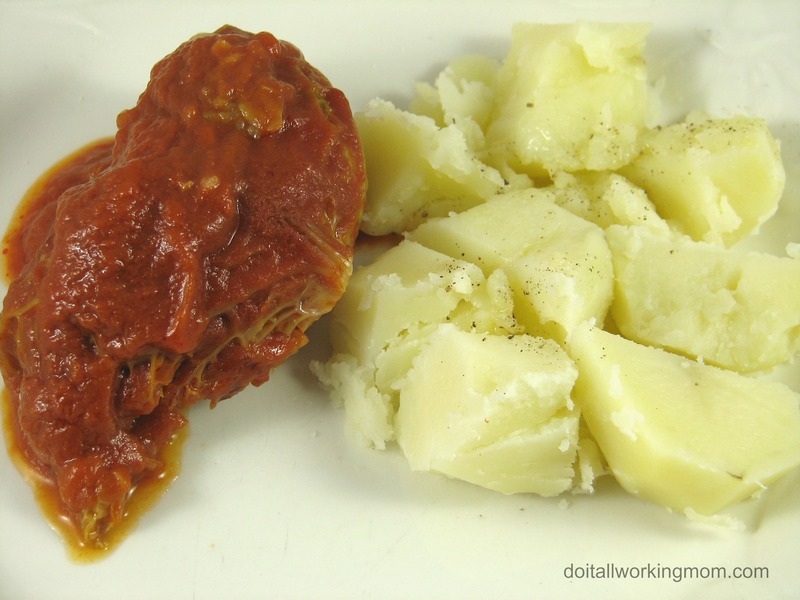 Hope you enjoy my delicious and easy Cabbage Rolls. You can easily freeze the leftovers in an air tight container. 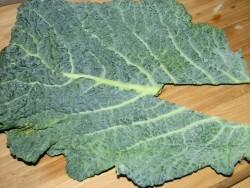 Place about 3 tablespoons of the meat mixture in the middle of a cabbage leaf forming a cigar shape. Fold both sides of the leaf toward the middle and roll. Place the roll in a 13x9 oven safe dish. Repeat this step with the remaining cabbage leaves. « We’re off to Disney in two days!!! !